Black Rock Mountain at 3640 feet is in the highest state park in Georgia and straddles the Eastern Continental Divide on the spine of the southern Blue Ridge Mountains. You'll find 11 miles of trails, lake fishing, scenic overlooks, and a dozen small waterfalls. The closest city is Dillard, GA named for Revolutionary War soldier Captain John Dillard who settled the area amongst the Cherokee in 1794. Driving into and around the park, stop at the scenic overlooks for the characteristic rolling green hills and blue tinged humid thick skies. 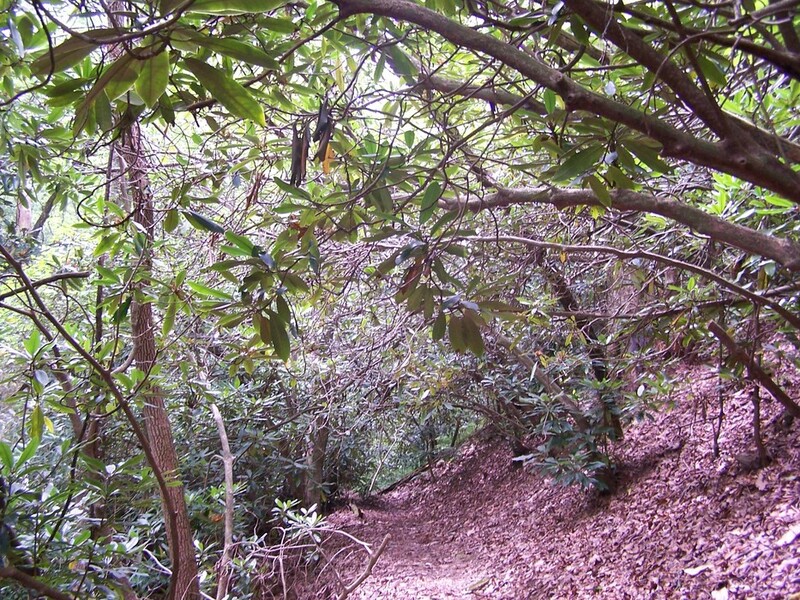 The area receives 80 inches of rain per year, and shrub tree rhododendron dominate the ground cover thriving in the higher altitude and moist environment. They bloom in late spring to summer and make a mystical dome of interlocking branches above the trails on Black Rock Mountain. 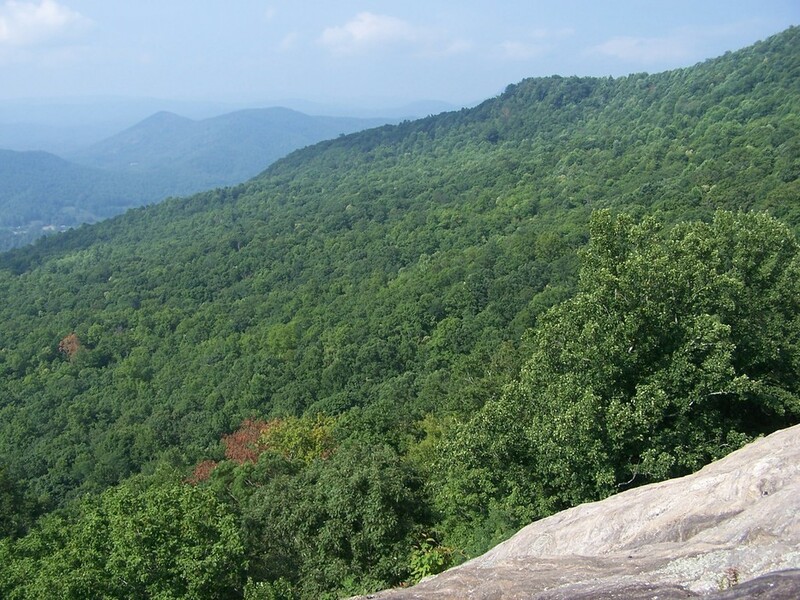 The Tennessee Rock Trail (2.2 mi RT alone - or combine with James Edmond trail for 9.4 mi RT) leads you to the highest point in the park and is named for the gneiss outcrop forming part of the Eastern Divide. Purchase an interpretive trail guide to identify flora and geologic features marked with numbered posts along the hike. After 100 yards, take the loop counterclockwise to the right and follow the mostly level trail through oak and fern forest. Merge with an old road around 0.7 miles and the trail bears left at 1.2 miles climbing up to the mountain peak. At 1.7 miles is the gneiss outcrop of Tennessee Rock forming the Divide: water off the north side flows to the Gulf of Mexico while water hitting the south side flows to the Atlantic Ocean. The trail continues downhill back to the trailhead from here. 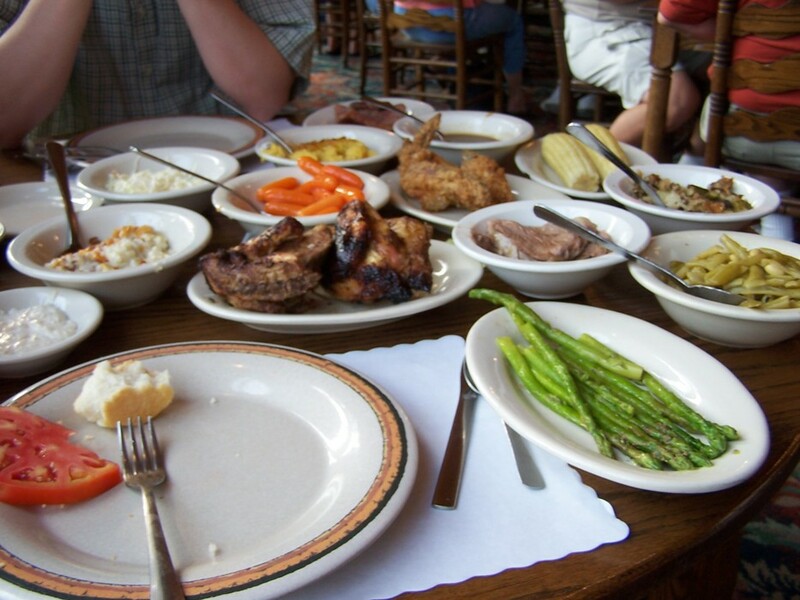 The nearby Dillard House, opened in 1917, is a "don't miss" when you're in the area famous for locally grown produce and homestyle cooking. There is an option to earn an annual pass with 20 hours volunteer work. Free on Wednesdays. A backcountry permit from the visitor center must be obtained to hike or backpack. Follow signs off US 441 near Mountain City/Dillard.